From more than six hundred anomalous incidents on Skinwalker Ranch that have been investigated, documented and catalogued since 1994, a small number of events stand out for the brazen use of invisibility and "cloaking" technology deployed during daylight hours. 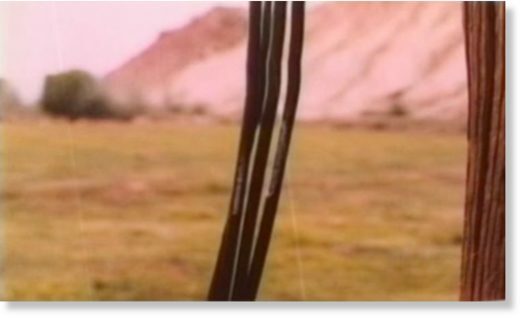 As Skinwalker Ranch scientists and researchers investigated these incidents and "war gamed" how they may have been perpetrated, inevitably the "us or them" question arose. Were humans (us) capable of pulling off this incident or was a non-human intelligence (them) responsible? This "us or them" conundrum has existed at the heart of "UFO-ology" since the 1950s and is a major contributor to the confusion and lack of progress in the field for decades. The following are a couple of incidents that happened on Skinwalker Ranch that exemplify this ambiguity between "Us and Them". Without warning, something large broke from the tree line and moved swiftly towards the meditating man. Tom blinked and tried focusing. He still couldn't see what it was even though it was broad daylight. It was blurred as if it was hidden in the middle of heat distortion and it was moving very quickly. Gorman realized that this cloaked "thing" was making a beeline for the blissful meditator who was completely unaware of what was bearing down on him. Tom was about to yell a warning but it was too late. The shimmering wraith like phantasm had stopped just inches from the meditator. It let out a deep throated animal roar that reverberated around the ranch. Tom froze. The stranger leaped back about ten feet and began screaming. As fast it had approached the shimmering almost invisible creature departed for the tree line. Tom watched as it was hidden behind pixelated blocks and within seconds it had vanished deep in the trees. The visitor was on ground screaming hysterically and out of his mind with fear. 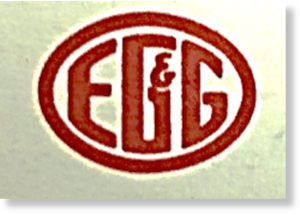 Quickly Gorman and his son bundled the quivering man into their vehicle and drove to the gate. The stranger still babbled incoherently about how the property was cursed and he would never set foot there again. A few weeks later the family was watching a rerun of the 1987 movie Predator starring Arnold Schwarzenegger and Jesse Ventura, both let out a yell when they first saw the shimmering alien creature. "That is what we saw" they swore to the other family members. The predator in the movie appeared to exactly encapsulate the level of camouflage of what they had seen on the ranch. 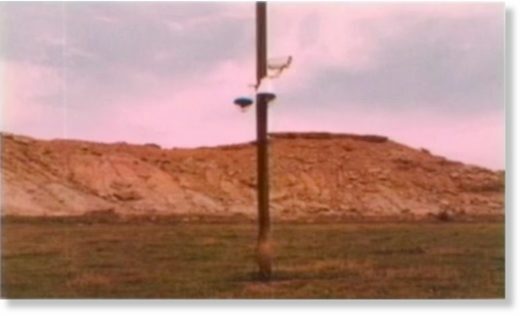 When Gorman related the story to the Skinwalker Ranch research team a few months later, the team wondered if the ranch was being used as an experimental field testing station for advanced camouflage technology. 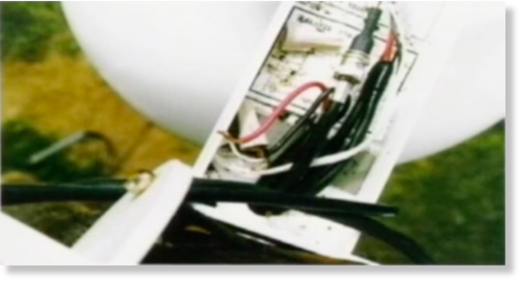 The Special Forces operative was careful not to reveal sources and methods but over several hours of questions and answers did confirm that one of the projects he had worked on was testing advanced technology "toys", including non-lethal weapons, at several locations in the Uinta Basin. 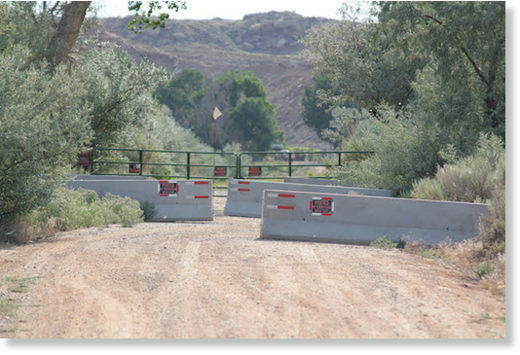 He confirmed that some of the advanced technology test projects were targeted to multiple areas around Skinwalker Ranch. Some of the units operated out of Hill Air Force Base, located about 150 miles west of Skinwalker Ranch, other units came from elsewhere. In spite of multiple attempts to obtain additional sources, Ranch investigators were never able to robustly corroborate the story told by the retired Marine. 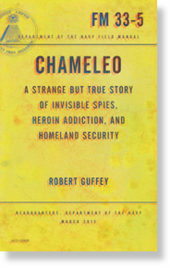 In 2015, Robert Guffey published a book entitled "Chameleo" (3). The book was written in the style of a Hunter S. Thompson epic and it described multiple surreal incidents of serial harassment of a couple of individuals in San Diego California by a mysterious group that appeared to possess very advanced technology, including advanced camouflage technology. The book detailed the advanced camouflage technology discovered by an optical engineer named Richard Schowengerdt and allegedly developed and enhanced by Science Application International Corporation (SAIC). 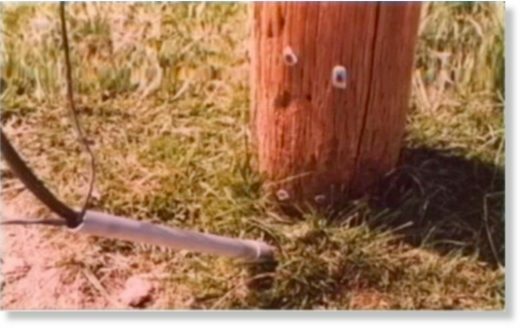 Given the evidence cited above, it was, and is, an essential component of every investigation into incidents on Skinwalker Ranch to entertain the possibility that non-lethal weapons are being deployed or tested by United States Government (USG) contractors or by other arms of the USG. Indeed this hypothesis was covered in Knapp and Kelleher's book Hunt for the Skinwalker (2). The retired special forces Marine told Ranch investigators that the Uinta Basin was an ideal location to test "toys" because of the remote, under-populated terrain and the reclusive, predominantly Mormon and Native American populace. Both Mormon and Native American communities had long histories of keeping to themselves so they were not apt to be giving interviews about their bizarre experiences to the Washington Times, the Wall Street Journal or the New York Times. Jan thought a coyote or maybe a black panther or some predator animal caused the quiet as she knows (as hunters know) that when a predator such as a bear, for example, enters an area the other animals tend to become quiet. Then she became aware that a weird visual "effect" was moving rightward across her field of view at an apparent distance of maybe fifteen to twenty feet. She described it as if looking through "saran wrap." Perhaps a more apt comparison would be like looking at a mirage above a hot road. There are undeniable overlaps between Jan Maccabee's incident and that of the "predator" incident on Skinwalker Ranch, although it is not definitive that the two incidents had the same cause. In the case of the "predator incident on Skinwalker Ranch, a definite hostile attack occurred, whereas with Jan Maccabee, no interaction appears to have occurred. We at HuntTheSkinwalker.com are interested in receiving feedback from readers of this article regarding other possible incidents of a "Chameleo" nature. 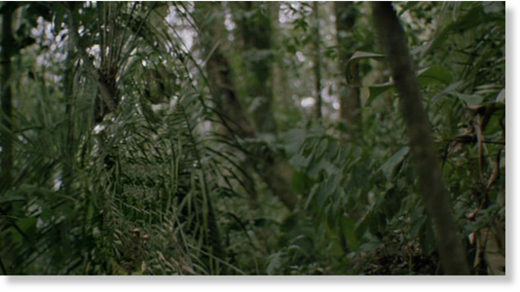 Please email us your account if you have had interactive experiences with a camouflaged entity, human or creature that gave the visual appearance of the "Predator" in the original movie. Finally, it is outside the scope of this article to question the legality or otherwise of subjecting United States citizens to acts of aggressive and hostile trespassing, vandalism and in some cases injuries, as a result of deploying non-lethal "toys" in the Uinta Basin. Regardless, the ambiguity between "Us and Them" as perpetrators of these unsolved crimes remains.